Barrigada Hill (Chamorro: Barigåda) is a 650 ft (198 m) hill in Guam. Nimitz Hill is a 643 ft (196 m) hill overlooking the historic Asan Beach in Guam. Transworld Radio Shortwave Transmitter Station in Merizo, Guam with 2x100 kW & 2x250 kW power. 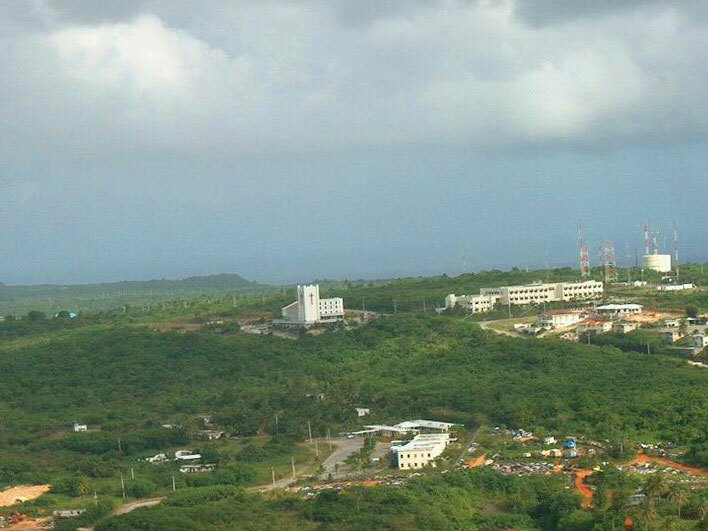 Adventist World Radio Shortwave Transmitter Station on Facpi Point, Guam with 5x100 kW power.